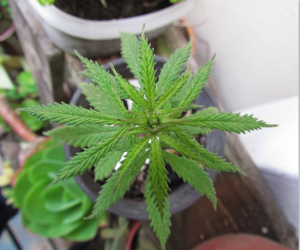 Marijuana laws are rapidly changing throughout the country, with some states and even the District of Columbia making possession of limited quantities legal. Many states and the federal government, however, still have laws against marijuana, and other illicit drugs, which makes even the possession of those drugs illegal, whether or not you use them. Many think so long as they don’t have the drugs directly on their body they are not breaking the law. They are surprised to be charged with a crime when the police find a friend’s drugs in their car or home. Or they are charged when they unknowingly borrow a friend’s bag discovered to have drugs in it. “How can I be charged with drug possession?” they ask. “They weren’t my drugs and I didn’t have them on my body.” The answer is simple: constructive possession. Criminal possession principles apply to illegal possession of drugs, weapons, stolen property, or other property (contraband). 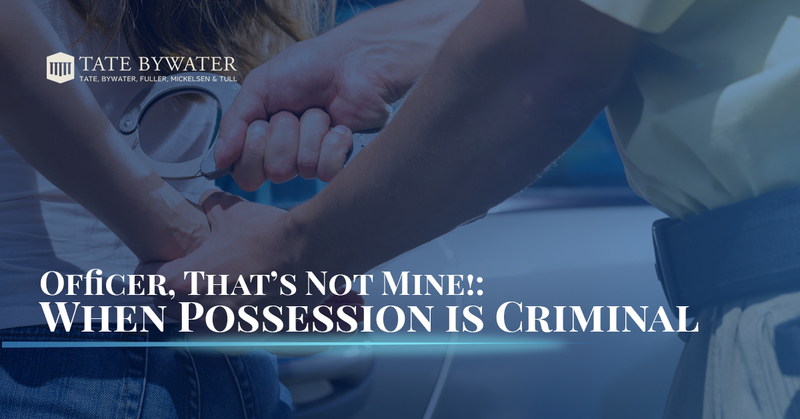 Actual possession means having physical custody of the contraband, typically on your body or on something directly attached to your body. Constructive possession applies where a person has the power and intent to exercise dominion and control over an object. See Black’s Law Dictionary 1047. In a criminal prosecution, for the government to obtain a conviction on a theory of constructive possession they must demonstrate through direct or circumstantial evidence “that the defendant exercised, or had the power to exercise, dominion and control over the item.” United States v. Jackson, 124 F.3d 607, 610 (4th Cir.1997). Practically speaking, this means that if you are the owner of a car, any drugs or contraband in the car are assumed to belong to you and be in your possession. It also means, if you own a house or may be the sole tenant of a house or apartment, that anything found in the house is presumed to belong to you. See U.S. v. Shorter, 328 F.3d 167, 172 (4th Cir., 2003) Under federal case law in the 4th Circuit, this is a rebuttable presumption, so if your house is large enough, or the contraband is so well hidden that a normal home owner would not have known about the contraband, it is possible to successfully argue you did not know about the contraband and it does not belong to you. It is also possible to argue that any drugs found in your car really belonged to your friend, but only with compelling evidence to show your friend was the one with control of the drugs. This could include cases where the friend is riding with you at the time and the drugs are in the friend’s bag, or if your friend will admit that the drugs belong to him or her. Things change in a defendant’s favor where multiple people live together, such as in a shared apartment or townhouse. Suppose that police find drugs in the shared living area of an apartment, such as a living room, which is rented by a bunch of college students. The presumption that the owner or leaseholder of the apartment has constructive possession is rebutted because many people are signed onto the lease. Dominion and control cannot be established by mere proximity to the contraband, by mere presence on the property where the contraband is found, or by mere association with the person who controls the contraband. United States v. Brown, 3 F.3d 673, 680 (3d Cir.1993); United States v. Rusher, 966 F.2d 868, 878 (4th Cir.1992). Rather, “[i]n joint occupancy cases, there must be some additional nexus linking the defendant to the contraband.” United States v. Wright, 739 F.3d 1160, 1168 (8th Cir.2014). Regardless of your particular situation, and whether there must be an “additional nexus” as the courts have required, proof of constructive possession requires the government to prove you knew the presence of the contraband. Constructive possession may be established by either circumstantial or direct evidence.” United States v. Nelson, 6 F.3d 1049, 1053 (4th Cir.1993). Either way, the judge or jury may properly consider the totality of the circumstances surrounding the defendant’s arrest and his alleged possession. Because the judge or jury may consider all the evidence and circumstances around the arrest and the alleged possession of any contraband, there is no guarantee that if you are in a shared living arrangement, or drive a car you do not own, or if drugs are found in a bag you borrowed from a friend, that you can avoid a possession charge. Often, you will be charged with possession and must fight the charge to avoid conviction. A skilled and experienced lawyer from TATE BYWATER can navigate the particular facts and circumstances of your case to minimize or avoid a possession charge and ensure you are not punished for possession of drugs or contraband that belong to someone else.